English muffle glass is a distinctive, yet subtle textured glass, and now you can find it in popular J. Devlin Glass Art glass home décor gifts. Originally made in the early 1900s in England, English muffle glass was highly desired for use in windows because of its exceptional color and texture. It is that same exceptional color and texture that makes English muffle glass the perfect combination with J. Devlin’s stained glass art designs. Many of J. Devlin’s products begin with yesterday’s influence of traditional stained glass and end with a modern twist making them the ideal gift for friends and family of any age. Log in to view our new English Muffle category. For more information or to become a J. Devlin Glass Art retailer, contact us at (402) 465-8100 or submit a request online. 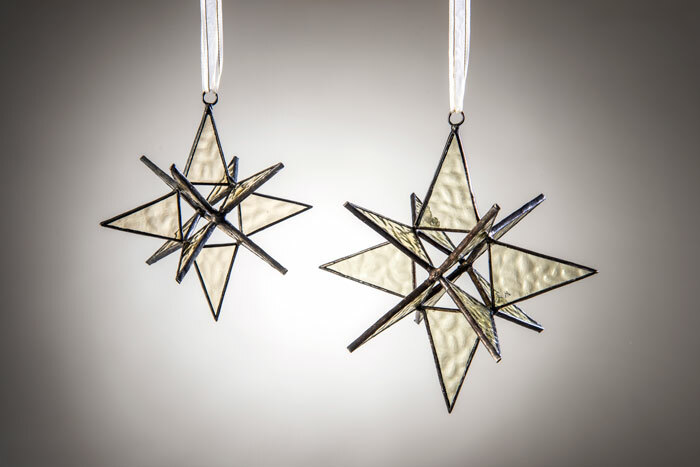 All J. Devlin Glass Art home décor gifts are made from lead-free solder to protect you and the environment.